PCT is increasingly devoting attention and resources to volunteering as a means of sharing the gospel and doing domestic missions. This trend began in the aftermath of the 921 Earthquake in 1999 and peaked again in the wake of Typhoon Morakot in August 2009. After experiencing severe natural disasters and seeing so many Christians step up to the plate in response, PCT realized that volunteers needed a set of standard operational procedures and a streamlined system so that rescue and relief efforts could be more effective and professional. According to PCT officials, training for volunteers is only the beginning of a series of training programs in the horizon. There will soon be training for lay reporters as well. Some church and social organizations have agreed to streamline and share resources and information so that Christians can use their expertise to benefit their communities and proclaim Christ. 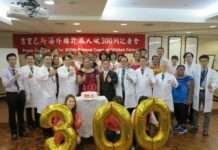 “I joined the ranks of staffs entrusted to train volunteers when I saw there simply weren’t enough chaplains in Christian hospitals to reach out to patients since many hospitals were trimming their budgets to minimize expenses. Cutbacks forced a lot of them to rely on laypeople to fill the gaps,” Chen Mei-hui said. Chen was formerly Changhua Presbytery moderator and now works as a chaplain at MacKay MemorialHospital. She previously travelled to the US for training and took some courses on Clinical Pastoral Education (CPE). She now stresses that being a passionate person isn’t enough because passion without knowledge can often get volunteers in trouble and even drown out the gospel message. CPE courses focus on every volunteer’s personal relationship with Christ, nurturing a healthy dose of self-understanding, and empathizing with patients. 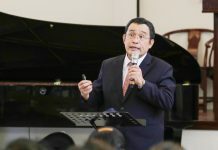 Chen said that skills gained from classes similar to CPE could go a long way in helping volunteers become more efficient in their work and more effective in their ministry. 下一篇文章 PCT joins others in bid for Taiwan’s entry to the U.N.